I’m familiar with quite a few interesting principles in hifi.l Popular ones, obscure ones and quite a few of the snake oil category, but Magnetic Conduction is new for me. Call me gullible but I’m intrigued already! What is it and how does it work? 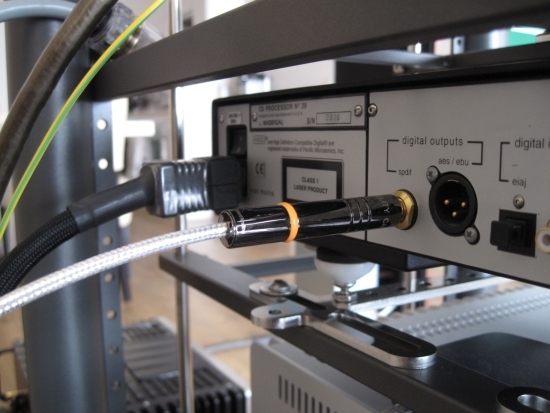 Summed up, the information on the website reads: As implemented by High Fidelity Cables, Magnetic Conduction offers a magnetic as well as electrically conductive pathway for signal transfer. How? You might well ask. Before they answer that, they state the following: To appreciate the impact of Magnetic Conduction technology, it is important to understand that an electrical signal is always accompanied by a magnetic field. Ok, that does make sense. But still, how do you use this to your advantage? 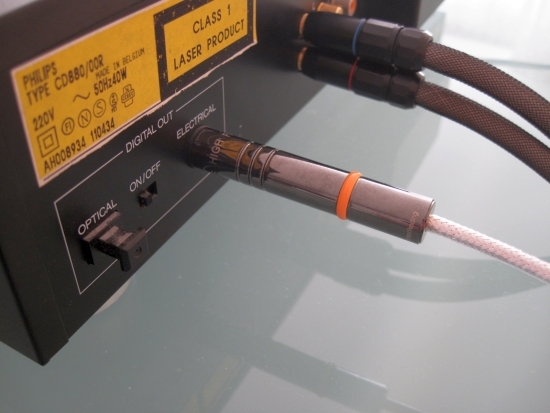 In the CT-1, the entire cable is directionally magnetized to promote signal transfer. An electrical signal is strongly motivated to follow a magnetic field, as demonstrated by experiments in which electricity/plasma is attracted or repelled by magnetic fields. Our Magnetic Mapping process is used to align magnetic poles at each end of the cable. In effect, we use magnetism to keep the electrical signal flow aligned and to minimize the random pathways for electrons within and along the conductor. Convinced? I’m sure critics will have a thing or two to say but for me this explanation is plausible enough. There’s more to this cable than Magnetic Conduction though. The connectors are also rather special. First: they are huge. They have to be because they have magnets inside. The connectors make for a very tight grip which is fine on equipment with solid connectors but my classic Philips CD player was less happy when every twist I made with the cable’s connector, made the chassisconnector wiggle on the PCB. But with being careful I managed to repeatedly insert and remove the connector without problems. The conductor, wrapped in Teflon, is made from a secretive alloy that itself becomes fully magnetised and forms an uninterrupted electronically as well as magnetically conductive pathway. 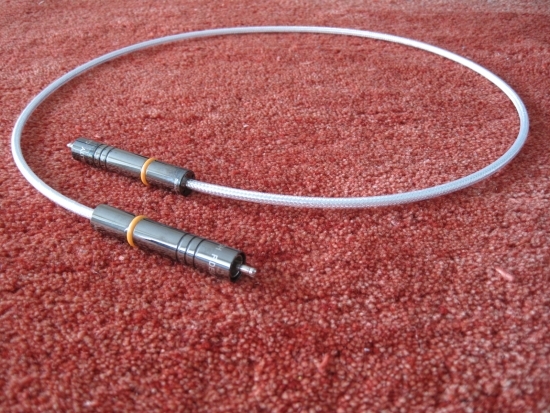 The pin inside the connector has a special design, too: instead of employing a standard pin, High Fidelity Cables use a 4-way split pin with a slightly wider spring loaded ball at the end which compresses on insertion. There’s a lot more info on the site but I’m always more interested in the final results so let’s just move on to how it sounds. I was forewarned that the cable would require plenty of running in: the CT-1 would keep improving until about 100 hours. It seems that this is true. Initial listening to the brand-new cable revealed it as being too thin in the bass and a touch too hard in the midrange. I dug up my trusty and indestructible Philips CD880 and left a CD running on repeat for two full days. On the third day the sound was already a lot friendlier and more fluid: treble was now more gentle and the midrange wasn’t shouty anymore. Bass remained taut and tight. I left the CD player spinning for another couple of days until I was well past 100 hours. I felt that the sound hadn’t changed much after the initial 24 hours of running in but if anything it had become a little richer and fuller. In order to be absolutely sure of the CT-1’s sound signature, I used it with two different CD players and two different DACs. First up was the Levinson 390S into the Jeff Rowland Aeris DAC. The overall impression is of an accurate, well-paced, upbeat sound with excellent focus and low level detailing. The sound is very pure and honest: it is not clinical or dry but it can be a little gray. Mind you, there’s enough body and the bass is actually extremely well-balanced but with some CD’s I found that the system as a whole could do with a little more colour and richness. This is absolutely a function of my system: I know that the Maggies can sound a little too clean and this is why I normally use warmer sounding cables. Swapping back to my usual Wireworld Gold Starlight III+ confirmed my ideas about colour and richness, but also made it painfully clear that the Wireworld couldn’t match the CT-1’s pureness, mostly obvious in the bass and overall coherence. The CT-1’s bass really is something special: weighed just right, fast, articulate, deep and full yet without any overhang. At this stage I was a little torn between the cables, the CT1 appealing more to my mind and the Wireworld more to my heart. Overall, I would have to say that the CT-1 is the more honest cable. Next up was the Philips CD880. This may seem an odd choice for reviewing a high end digital interlink, the player being over 22 years old, but I have compared a lot of classic CD players and these CDM-1 swing arm based players always work very well as a transport. Sometimes, depending on the DAC used, the CD880 will even sound better than the Levinson. 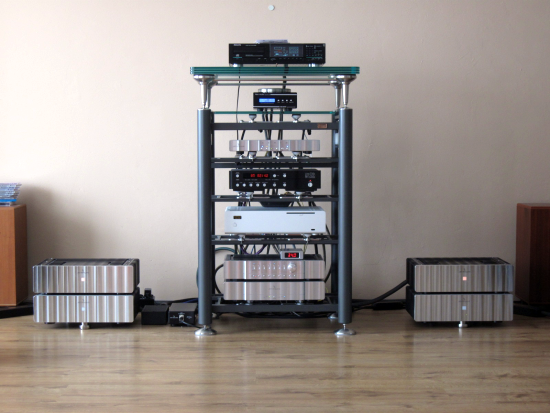 And indeed, when connected to the Rowland Aeris with the Higher Fidelity Cables CT-1, the CD880 really shines. Where I had small reservations with the Levinson in the areas of colour and fluidity, the CD880 had no problems whatsoever. The sound was smooth, fluid, open, airy and once again very well-paced. The CT-1 really seems to compliment the 880. Switching the CT-1 for the Wireworld, the sound became richer and more colourful but once again, these virtues were accompanied by a woolier bass and an overall less engaging sound. Most apparent was that there was now a lack of dynamic slam, the CT-1 clearly being more expressive. The Wireworld works well enough with the Levinson but for the 880 and its inherently more relaxed sound, it is too much. 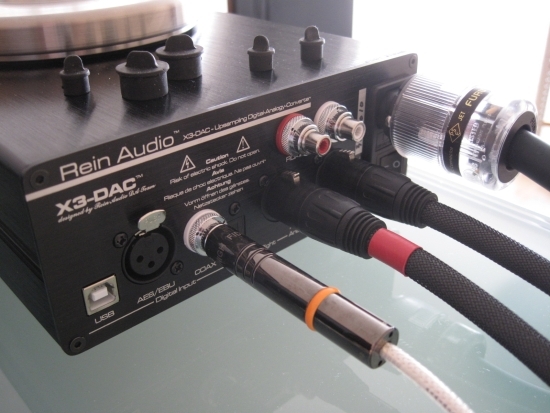 The best match was with the Levinson feeding the Rein Audio X3 DAC. The Wireworld just wouldn’t sound right with this DAC. While it made for a more relaxed sound than with the CT-1, it also took away dynamics and focus and more importantly, PRAT was reduced to the point of sounding boring. The CT-1 by contrast positively complemented the X3’s inherent speed and coherence and really allowed the combination to shine. One should always be aware of processes like system synergy and component inter-dependency. Digital cables do exhibit clearly audible differences and I wouldn’t classify them as being small. But it is important to note that you can’t just take out one cable in an existing system, replace it with a different type and expect stellar sound. Oftentimes it is a matter of balancing it out. Change something on one end and you’ll have to modify something else on the other end. 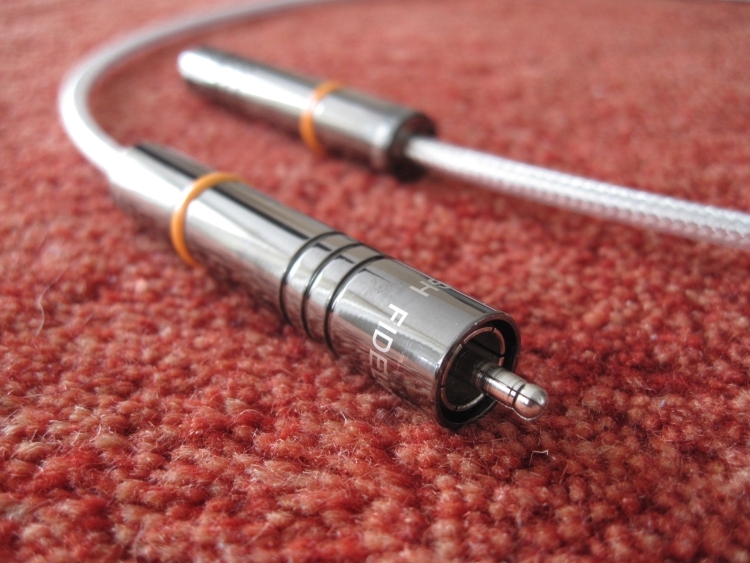 Whether or not it is the Magnetic Conduction technique at work, there is no doubt that the CT-1 is a very honest and pure sounding cable. In my setup it performs in a very consistent manner, providing an upbeat sound with superb focus and low level detailing. It has the best bass that I have heard from a digital cable and it offers very lifelike dynamics. Most obvious about this cable, besides its fantastic bass, is its coherence: everything is just very well-balanced. It doesn’t colour in an additive fashion nor does it sound fatigeing or harsh like some other subjectively highly detailed cables. My system needs a little extra warmth and I add this with warm-sounding cables. In this respect the CT-1 may not be the perfect cable for me, but if you’re looking for an absolutely honest, clean and natural sounding digital interlink, the CT-1 may well be the cable for you.